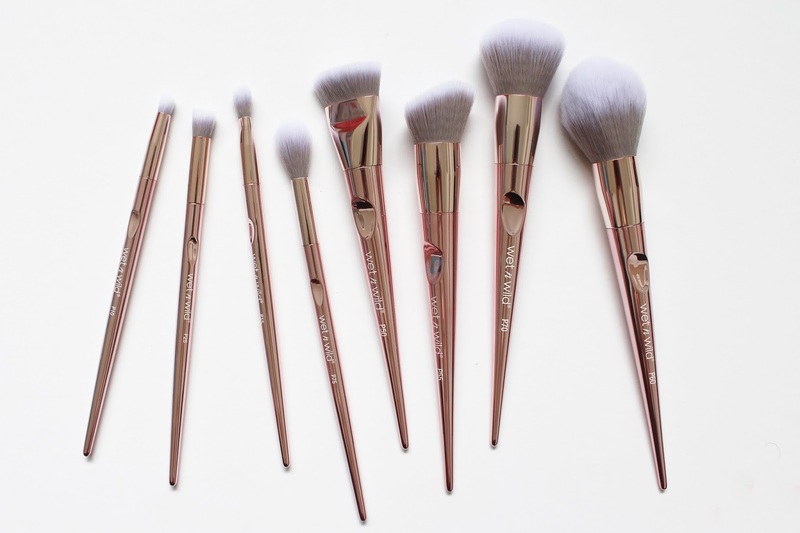 There is a lot to like about these brushes and I think they have done such a great job overall. The design is very sleek and it reminds me of the Real Techniques Bold Metals range with a tapered handle. One of the design features I love is the indent for your fingers to sit in too - it's a simple design but in my eyes makes a huge difference.The brush hairs are synthetic and totally cruelty-free and they work well with creams and powders. Believe me when I say these are SO soft! I haven't had any shedding and they wash up good as new with a bit of baby shampoo. There are 8 brushes in the Proline range (pictured left to right). This is one of my most used brushes from this range. 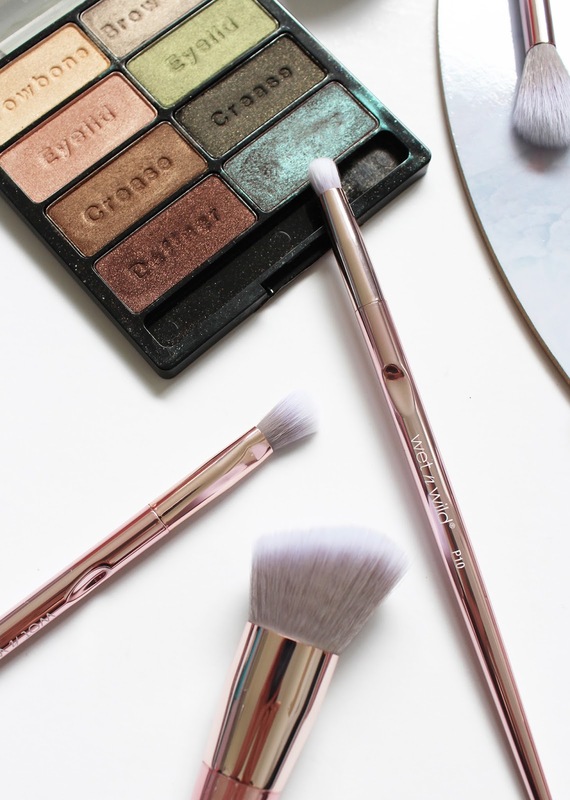 I have a similar brush from Urban Decay that I used all the time to run shadow under my eyes but it has been replaced with this one as it helps to blend it out at the same time. It is also good for smudge out eyeliner along the upper and lower lashes. This is a good one for spot concealing or using for eyeshadow. It works really well for both jobs. This brush basically does what it says on the tin. It is a great blending brush to help seamlessly blend shadows as well as packing on colour. I wasn't so sure about this one initially as I prefer a slightly larger brush for highlighting but I am sold on this now. It isn't as dense as others but it means you can get a precise placement of highlighter and then blend it out with the fluffy bristles. I like using brushes like this one for contour - it's flat, with dense stubby bristles that work well especially with cream contour products. Although I prefer a sponge for applying my foundation sometimes I do like to use a brush for a quick blend. This foundation brush is tapered on one edge and has a little dip in the middle which you can pump foundation into and then blend from there. See a couple of images below for more detail of the brush. This is not your a-typical blush brush; I tend to use something a bit fluffier but this actually works well, despite how dense it is. 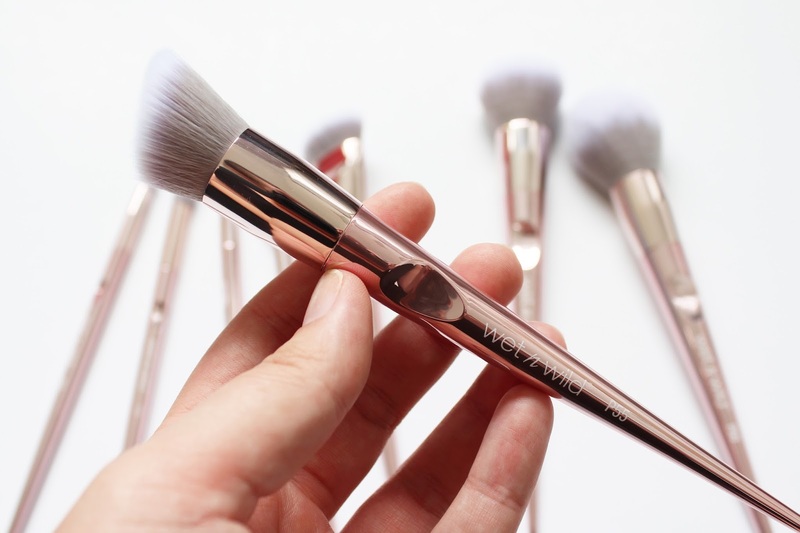 It could also be used as a big foundation brush, but for blush, whether it is cream or powder, it blends it well and doesn't pick up too much powder. 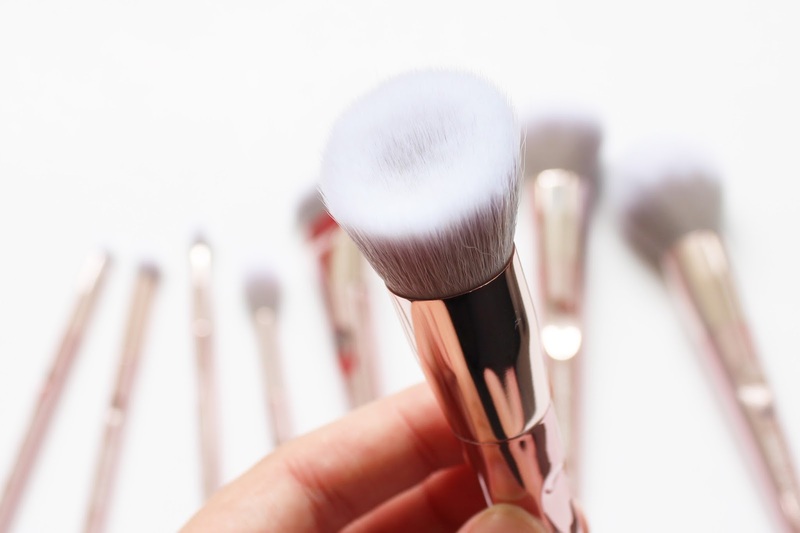 A brush like this is something everyone who is putting makeup on their face needs urgently. This works well for powder and also bronzer. It's big, fluffy and soft and works like a dream. It is definitely one of my favourites of the 8 available. 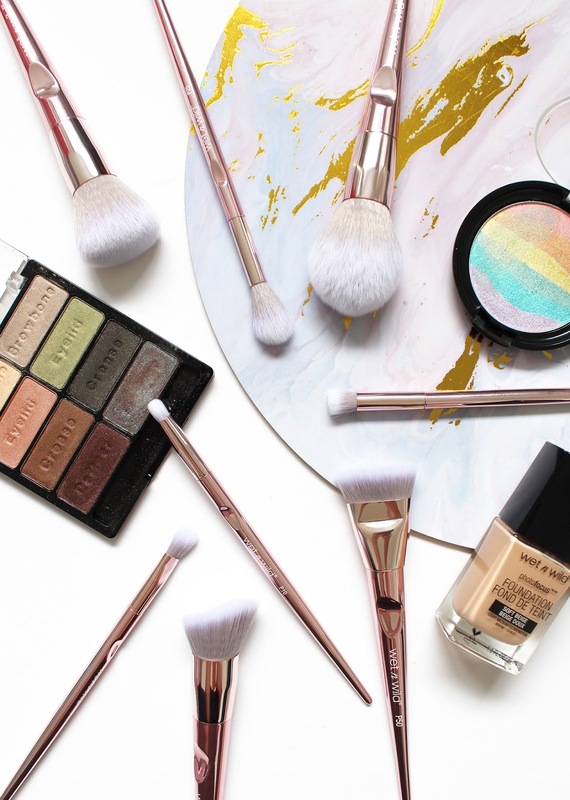 The Wet N Wild Proline Brushes are available online and instore at Farmers here in NZ. 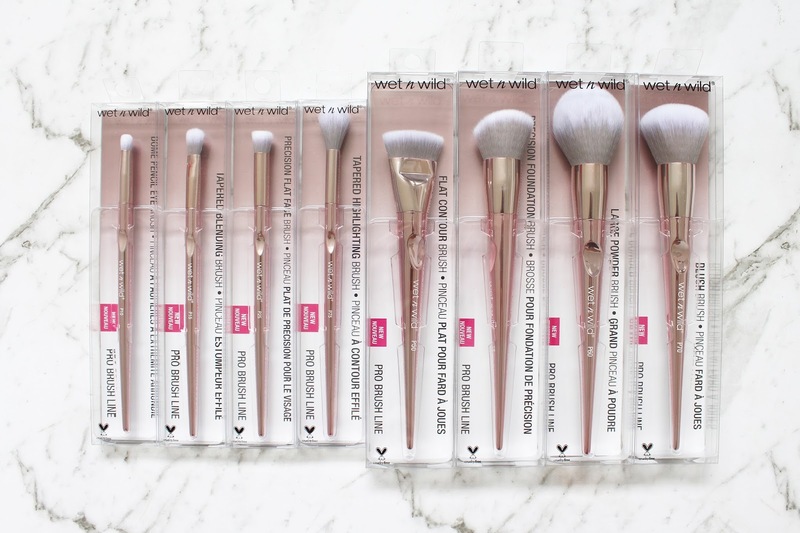 Although a little more expensive than the other brushes they sell from Wet N Wild (between $2.99 - $6.99), you definitely get what you pay for and more. I couldn't recommend these brushes enough!